Often I find myself reminiscing about the library. Gone are the days when I would spend hours among the stacks exploring, learning and enjoying the quiet. My senior year of high school I had the best job ever, a library shelver. In my time there I learned the Dewey Decimal System like the back of my hand and discovered a ton of new authors. Sadly, that job had to come to an end. 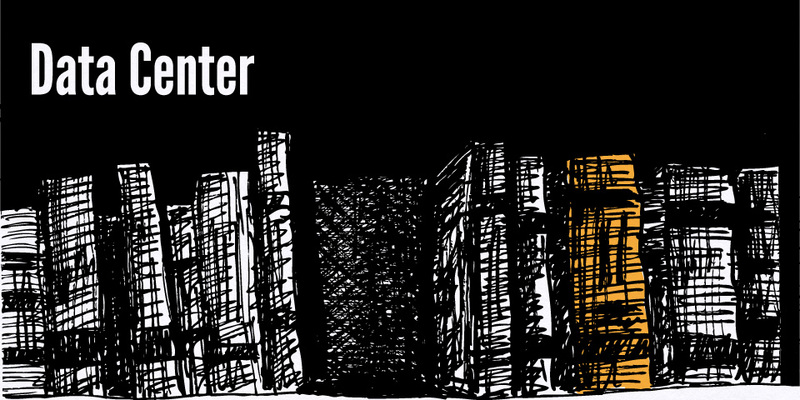 I still fondly remember the smell and feel of the library books— old, dusty and weathered. Although I’ve largely replaced the library with the internet (except for some college papers), nothing beats the magic of finding just the right book. Included in this download is the “Data Center” illustration as a desktop wallpaper. I’ve provided two sizes, 1024×768 and 800×600. If you think I should include other sizes, please let me know which ones in the comments below. Enjoy! I scribbled this ink sketch a few years ago. I didn’t have much use for it then, but when I rediscovered it I knew it had to go digital, and needed some color. Scanned, live-trace and color added with a wacom tablet. 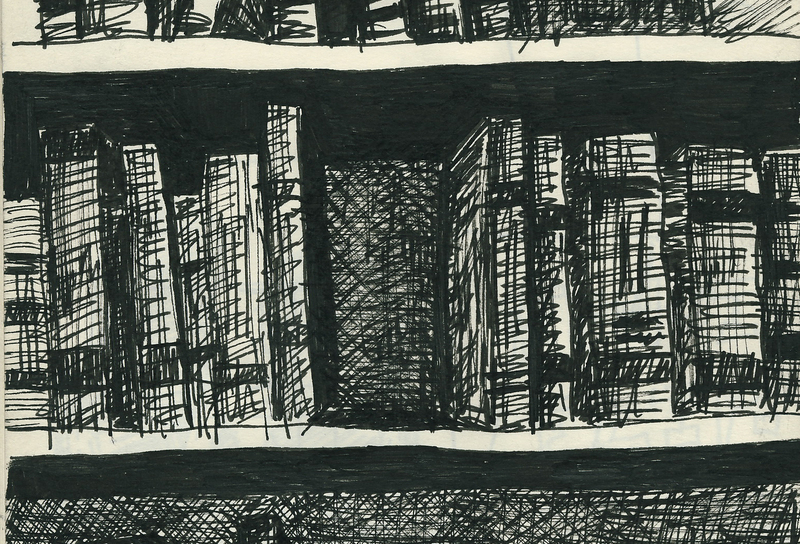 A sketch of some imaginary bookshelves I made a few years ago. 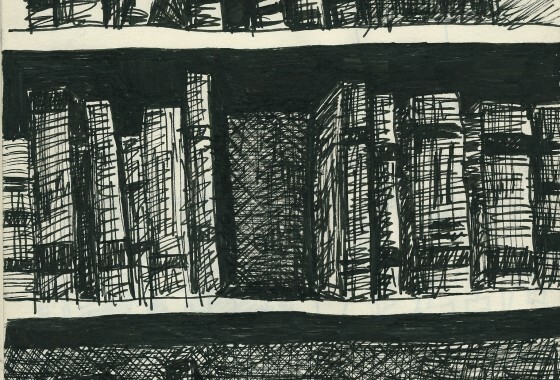 I was scouting the internet for an unobtrusive wallpaper to complement my writing material when I happened to stumble upon your sketch of a bookshelf. May I please use this for the background of my blog? Thank you.